After taking the covers off Tassort last week, Godolphin added another member to their autumn team with two-year-old Athiri. The half sister to Savatiano was cluttered up in between runners half way down the straight but once Glyn Schofield shouldered out, the daughter of Lonhro let down brilliantly. Punters Intel reveals her 33.75s last 600m was three lengths superior to the next best (runner up Accession at 34.23s). 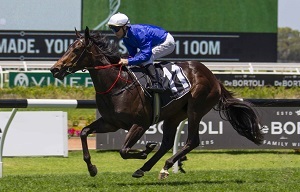 "That is a ripping debut from a very uncomplicated filly," said James Cummings, "She sweated on the run for half a furlong but it didn't faze her because her attitude is her greatest strength. We unveiled another attribute that she's got which is a powerful turn of foot." Schofield added, "It was a very professional win and there was a lot to like about it. She's not very big but she is full of heart and knows her trade." Cummings said Athiri will now spell ahead of the autumn two-year-old features. As for the beaten brigade, Brenton Avdulla quipped that Torched, despite running seventh, gives him the "feel of a serious horse but it's probably come six months early for me. He'll make the grade." "With the Hawkes polish, anything can happen." That was Michael Hawkes responding to the unconventional placement of first starter Kapajack in a BM78 on a Saturday. "He is a lovely horse, it was his first start in a benchmark race but he has above average ability," said Hawkes. "He is a Magic Millions horse so he'll probably end up there, he's on his way." Punters Intel reveals the Lonhro three-year-old ran home his last 600m in 33.05s, which was bettered only by Regimen (33s flat). Kapajack's 400m-200m was 10.69s before a last 200m of 11.05s, the quickest of the race. Andrew Adkins said he was mindful of keeping Kapajack moving into the race after it turned into a sit and sprint. "He is so quiet and straightforward, just bombproof and that will take him a long way. He has got a nice career ahead of him," Adkins said. 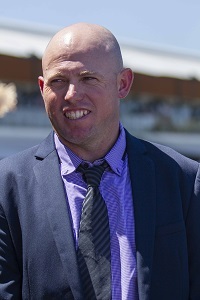 Queanbeyan-trainer Todd Blowes has only been training for 12 months but he has sights set on the Country Championships with TAB Highway Handicap winner Noble Boy. Blowes, who has a background in pre-training, has nine in work at the moment but he has a flag bearer in the undefeated four-year-old, who nearly never even saw a race track. "A mate of mine was contacted by the lady that bred him Donna Smart and she said I've got a horse that has been sitting in the paddock for 18 months and if he knew anyone that wanted to give him a go, so I got a few of the boys from footy together and here we are," Blowes explained. Noble Boy will next been seen on February 9 at Warwick Farm before targeting the Country Championships series. "He is a smart horse," added jockey James McDonald, who was surprised how quickly Noble Boy sprinted, "I probably went too soon, if I had ridden him before I would have waited and he'd have sprinted up a furlong." Savacool's long last in the ATC Cup as even money favourite was due to cardiac arrhythmia. It's the second time the four-year-old has suffered it so that means she'll have to go an extra series of tests. Kerrin McEvoy said after the race, "Obviously something went amiss with her there, she was lifeless at the 1000m and didn't respond at all. It was very unlike her." As for Our Century who looked to have every possible chance to outsprint winner Exoteric, Jason Collett said the Kim Waugh-trained galloper would have been more dynamic with cover. "He probably wasn't comfortable outside that tempo, outside of the lead, I think if we had the run the winner had we probably win. Second up after a tough run might have taken a bit out of him too," said Collett. 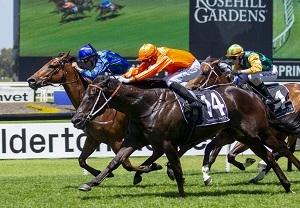 Check out the results and replays for Rosehill Gardens.